← Free Sample of John Frieda Frizz Ease! I was driving past Drumthwacket tonight and the sunset was so spectacular, I had to stop and take a picture, and then I wondered how I would ever be able to get enough curtains for all those windows if I lived there. 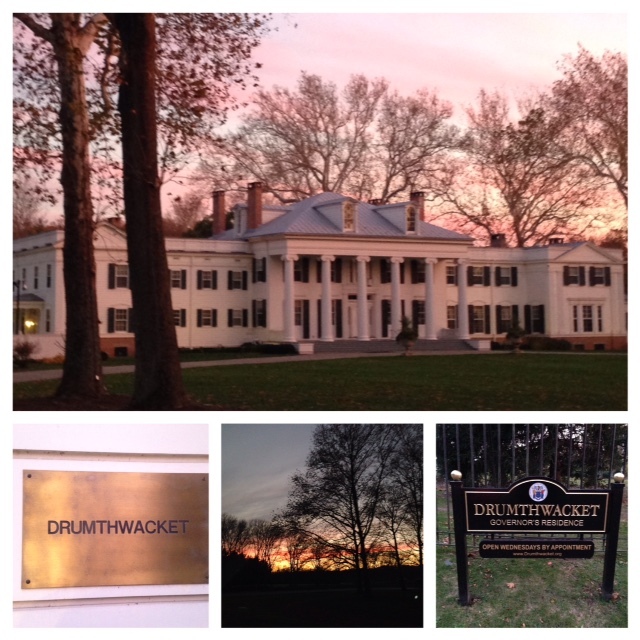 According to the official Drumthwacket website (yes, really), Drumthwacket was built in 1835 by Charles Smith Olden, who later became the 28th Governor of New Jersey. Governor Olden’s family had owned the land almost continuously since 1696. The house is near the site of the historic Battle of Princeton, one of the most significant battles during the American Revolution. The home is listed on the National Register of Historic Places and is now the New Jersey Governor’s residence. And then a NJ State Trooper came by and reminded me that I did not live there and I should be on my way.